My granddaughter, like every other kid, loves to collect anything. The smaller the better, because they can hold it better. So when the new Splashlings craze hit, it was an immediate success! For those of you who have never heard of them, Splashlings are the hottest new highly sought after collectible toys that features an ocean full of friends. 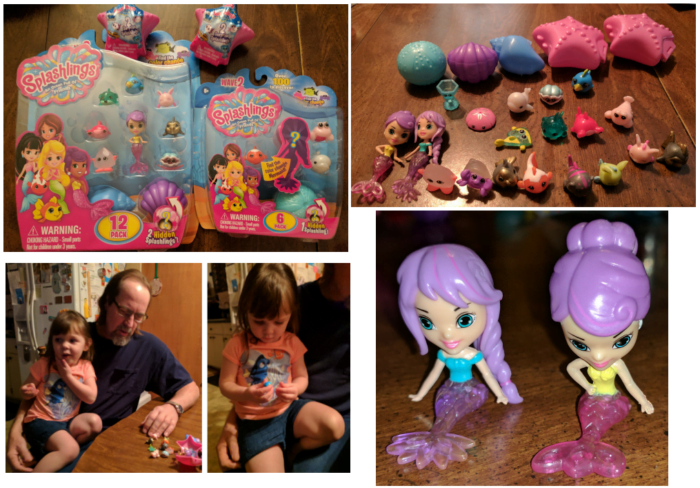 Wave 2 Splashlings has over 100 new mermaids, gems, shells, treasures, and ocean friends have joining the line-up. That means that kids have the opportunity to collect over 200 ocean themed collectibles between the two waves. I’d like to give a big thank you to TPF Toys for sending us some fun wave 2 Splashlings for review! TPF Toys latest addition of mermaid-themed characters and friends feature a series of ultra-rare color change characters, that when dipped in icy cold water, amazingly changes colors! Splashlings follows five mermaid guardians of the sea as they encounter adventures, fend off dastardly Mer-Pirates, and make new friends while protecting the underwater kingdom of Orabel. My granddaughter LOVES toys that she can play with in the bath tub or pool, she especially loves mermaids and fishys. I was very excited to be able to get the new Wave 2 Splashlings for her. We gave them to her the Sunday before Valentine’s day. She was so excited to get these. My daughter did the video, sorry it’s a little dark, not sure what happened to the lighting. After all the packages had been opened, all she kept saying was she wanted to take a bath after she got everything opened so she could play with them in the water! LOL My daughter told me that she had seen them on TV a few days before and said she wanted them, which made me even more excited that I was able to give them to her. In addition to the complete line of collectibles, fans can collect Upper Deck trading cards and tap into the Splashlings Official Checklist &amp; Collector’s Guide companion app, offering a fun way to keep track of their growing toy and card collections. The brand will see apparel, bedding and food/beverage products in the coming year. 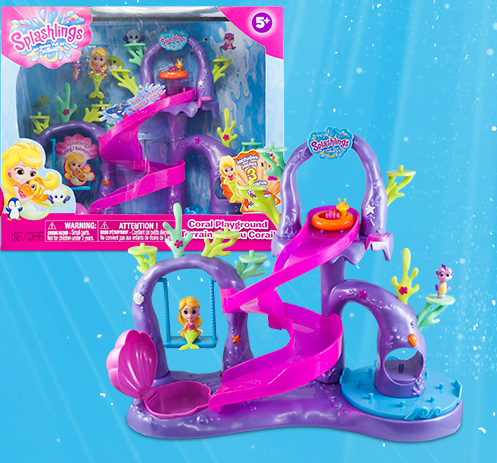 Splashlings are designed for kids ages 5 and up, based on their smaller stature. I love that they don’t take up a ton of space, because my granddaughter kept saying she wanted to bring them home! LOL Splashlings encourage creative free play and kids love how easy they are to hold, play with, and carry. My daughter loves it doesn’t take much storage space to store when not in use. Splashlings creatures and mermaids allow kids to head off on underwater adventures, explore, and role play in an endless array of encounters. Do you think the young children in your life will love these adorable collectibles? Where can you buy Wave 2 Splashlings? Head over to the Splashlings website to learn more about all that they offer. Also, don’t forget that Wave 2 Splashlings are now available at Toys “R”Us, Amazon, Justice Stores, and Walmart beginning February 1, 2017. Connect: Don’t forget to like Splashlings on Facebook, follow them on Twitter and Instagram, and subscribe to their You Tube Channel for all the latest news and promotions.